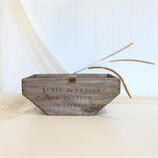 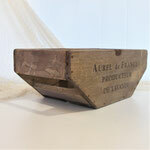 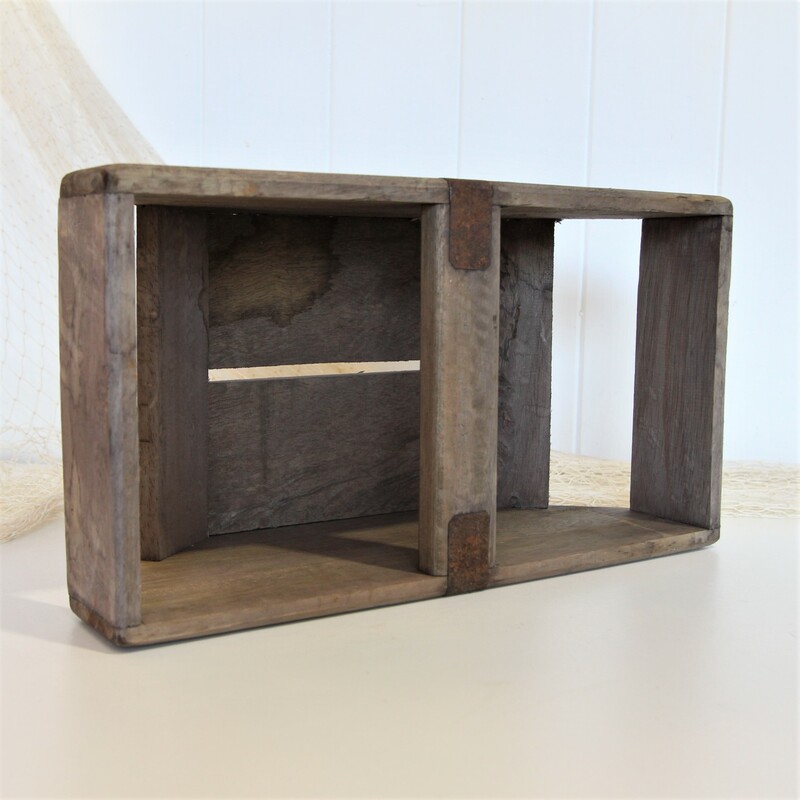 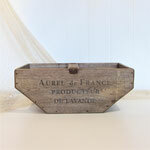 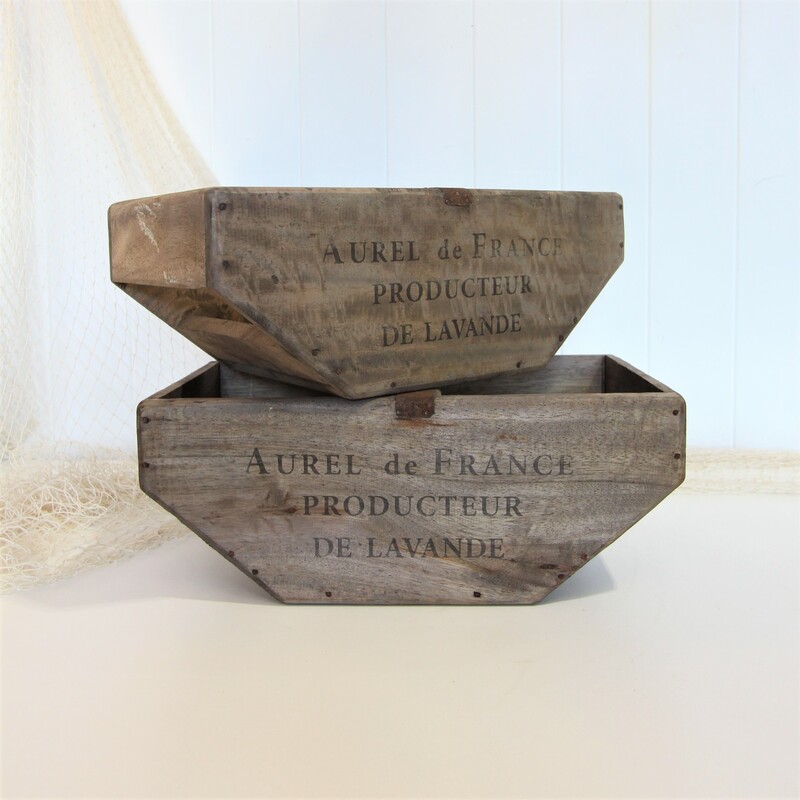 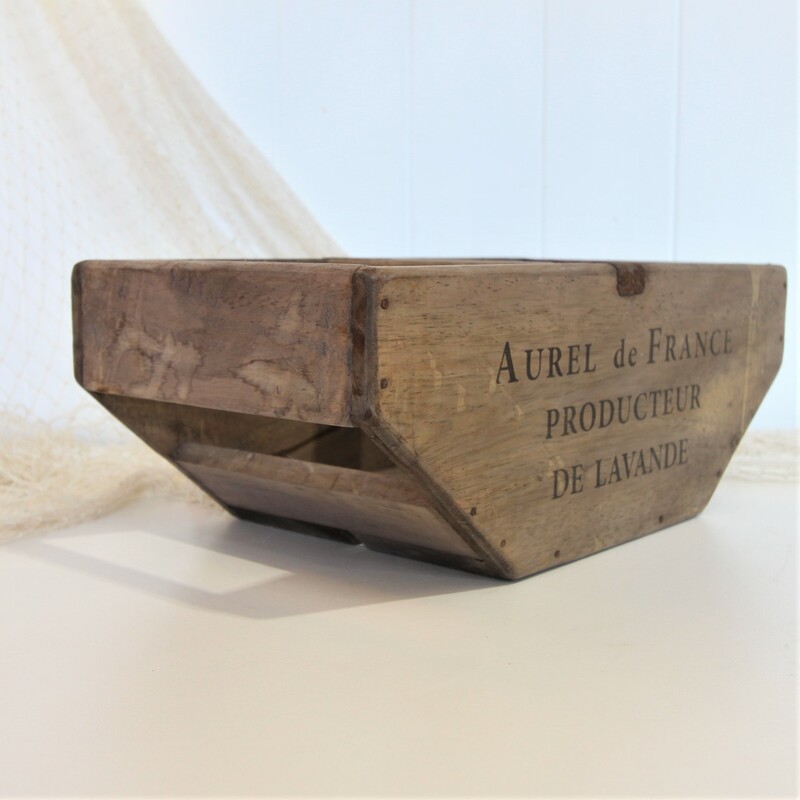 This lovely new wooden box is has been made with a vintage feel using grey timbers and aged metal. 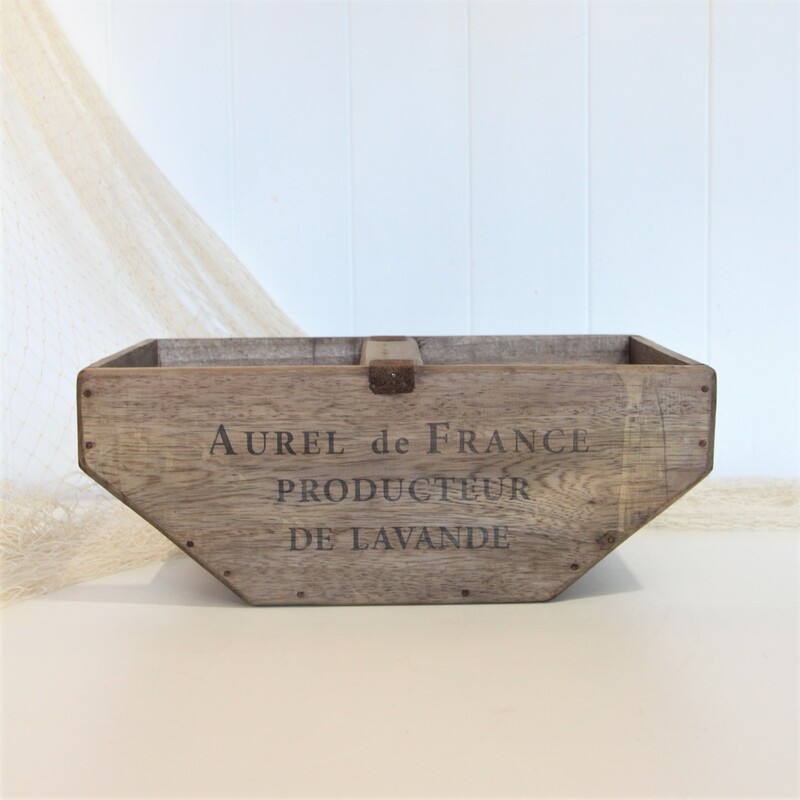 Stamped with 'Aurel de France De Lavande' it would be lovely to display a collection of dried flowers. 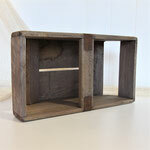 Perfect as a display piece in a vintage or country decor, it could also be used more practically for storage.